What is meant by the term “axial lead”? It’s a commonly asked question. An axial lead capacitor has leads that run parallel with the body of the capacitor and they come out at two opposite ends. Meanwhile a capacitor with radial leads has both coming out of one side of the capacitor. 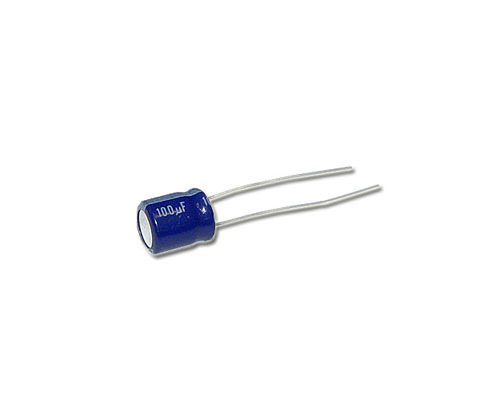 Note: Axial leaded capacitors are ideal for low profile circuit board applications. 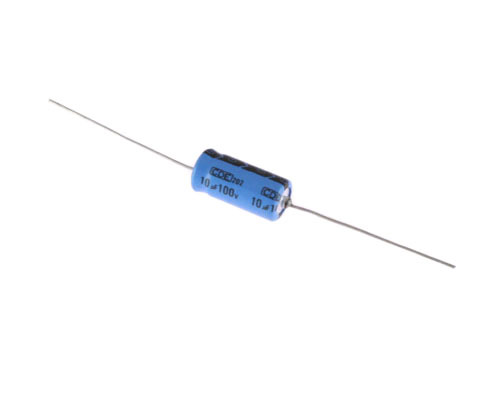 Axial electrolytic capacitors generally are polarized, with one lead being positive and the other being negative. Typically these capacitors tend to have a plus sign on the positive side to denote which lead is positive. However axial electrolytic capacitors can also be non-polarized, but they are not as popular as the polarized variants. -40°C to 105°C = High Temp. -40°C to 125°C = Extreme Temp. When you exceed voltages higher than 450VDC, the temperature rating gets a de-ratated down to 65°C. Aluminum axial electrolytic capacitors have a fairly wide voltage range from 3VDC all the way up to 500VDC. However for off the shelf delivery, you will find that voltages below 450VDC are easier to find. The capacitance range for these capacitors typically ranges from .1mFd (microFarads) to 15,000 mFd. 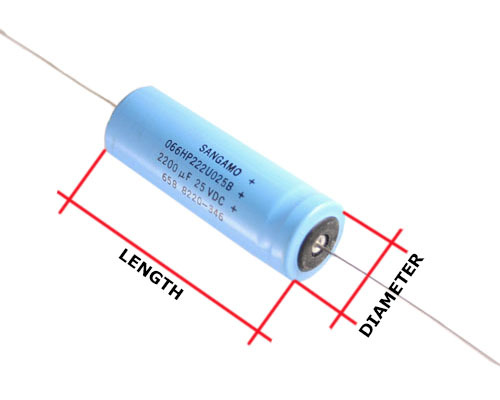 The size of aluminum axial electrolytic capacitors is typically measured in millimeters, with the diameter being the first dimension followed by the length. Size can vary from manufacturer to manufacturer even when the capacitance and voltage might be the same. You can use the tool below to convert Inches to MiliMeters or vice versa. Click here to browse our Aluminum Axial Electrolytic Capacitor inventory. 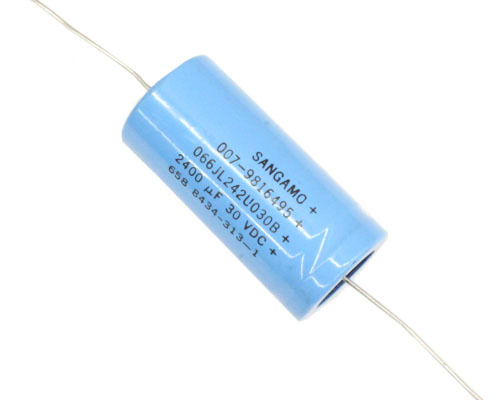 Click here to browse our High Temp Aluminum Axial Electrolytic Capacitor inventory. Click here to download TVA/TVAN Series spec sheet. Click here to download TCN Series spec sheet. Click here to download BPA Series spec sheet.